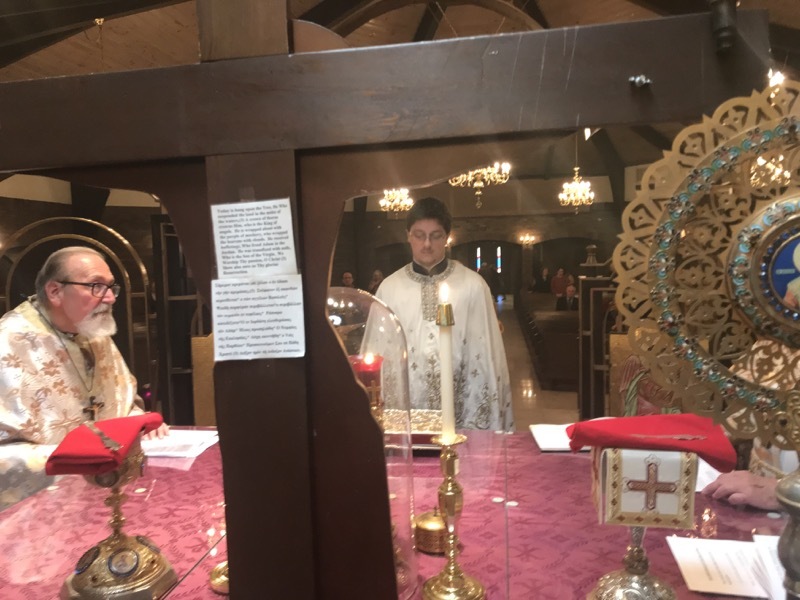 With the blessing of, and encouragement from, His Grace Irinej, our Bishop and Father, Lorain Serbs once again celebrated the Sunday of Orthodoxy with all local orthodox parishes. The Holy Liturgy of our father among saints, St. Basil the Great, took place in St. Nicholas Greek Orthodox Church in Lorain starting at 10 am. Seven priests and one deacon from different jurisdictions, including Greek, Ukrainian, Russian OCA and our Serbian Orthodox Church, gathered around God's Holy Altar. 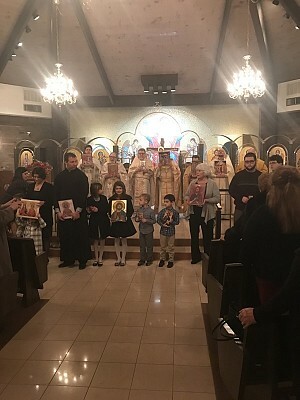 This year our Serbian priest from St. George in Lorain, Father Sinisa Hrvacevic, had the great honor and privilege to be the one that led them in prayer by officiating with Divine Liturgy. After the ambo prayer, clergymen, together with all the gathered faithful, made a procession with icons and read the synodikon aloud. Father Dmitri, from St. Mary Ukrainian Orthodox Church, delivered an inspiring homily and pointed to importance of unity in Lord Jesus Christ amongst all Christians. Following the church service, all gathered in agape and continued to enjoy this blessed day!